Amethyst and diamond slide set in 18 kt white gold. Amethyst and diamond slide. 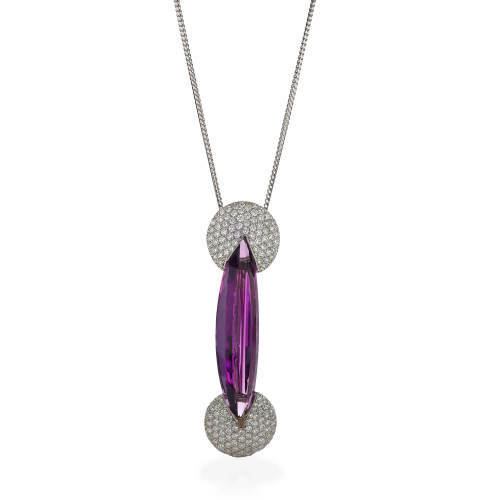 24.34 ct fancy cut “eclipse” amethyst, 2.34 ct diamonds set in 18 kt white gold.